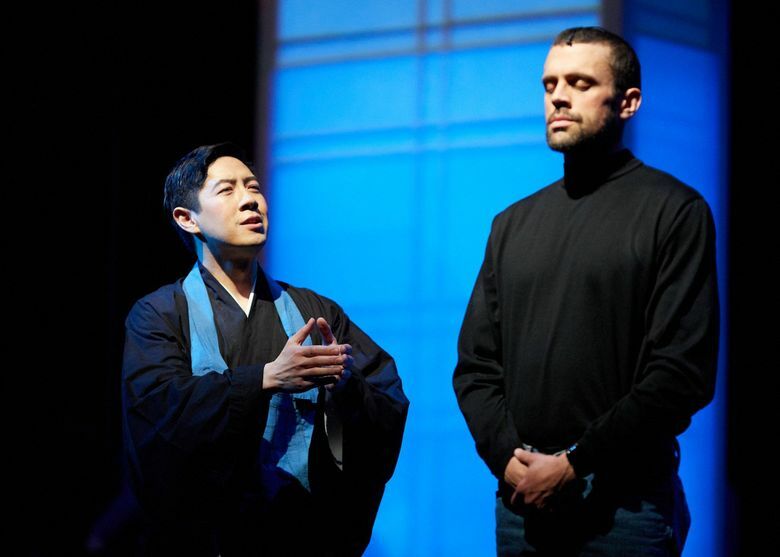 As a critic, it's hard to ignore key pieces of Steve Jobs' story left out of the new opera from Mason Bates and Mark Campbell. It's also hard to deny the enthusiasm I saw around me on opening night. When “The (R)evolution of Steve Jobs,” the new opera with music from composer Mason Bates and libretto by Mark Campbell, had its West Coast premiere in Seattle on Saturday night, it brought with it a number of welcome surprises: Apple laptops in the orchestra pit, bleeps and bloops melding with sonorous oboe and strings, taut conducting from Nicole Paiement and uniformly strong performances from John Moore as Steve Jobs, Garrett Sorenson as Steve Wozniak and Emily Fons, who made her Seattle Opera mainstage debut, as Laurene Powell Jobs. But if his libretto gives Laurene short shrift, Campbell brings a sharper lens to the sometimes-fraught friendship between Jobs and Wozniak — the ongoing power struggle between Wozniak, the programmer and builder, and Jobs, the idea man who obsesses over the exact dimensions of the box that will conceal the work that goes into their inventions (“no one needs to know how it works”). 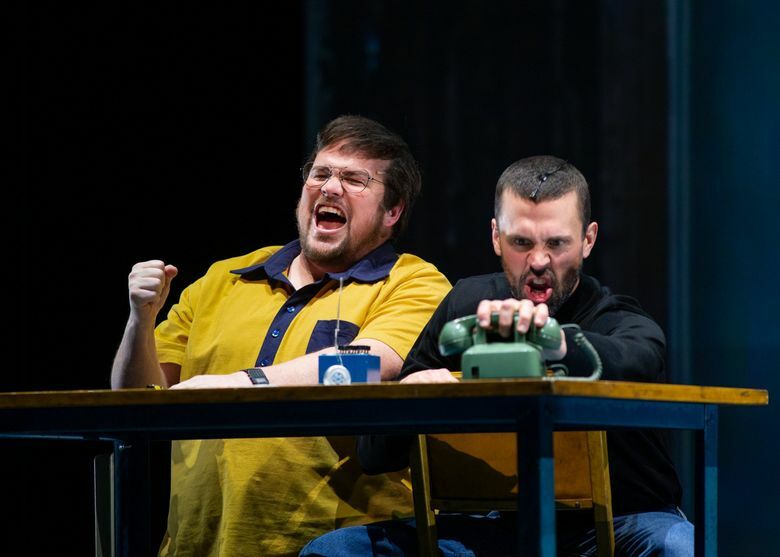 Wozniak is a key player in any story about Steve Jobs, and Sorenson, reprising his role from the Santa Fe production, makes him a likable scamp, a friendly foil to Moore’s elegantly restrained portrayal of a man in a workaholic fugue state. And we have to talk about the ridiculously gorgeous production design, which uses projection and lighting cues to transform a spare set of white-screened rectangular boxes into all of the locations and moods the story needs, from Cupertino to a Reed College calligraphy class to some kind of netherworld where the maybe-already-dead Steve consults with Zen priest Kobun Chino Otogawa (Adam Lau). From the “Tron”-like strips of light above the stage to the psychedelic apple trees providing the background to Steve’s youthful romance with Chrisann Brennan (an excellent Madison Leonard), a long-term on-and-off girlfriend and mother of his first child, Lisa Brennan-Jobs, the design work — particularly that of lighting designer Japhy Weideman and set designer Vita Tzykun — does a great deal to contextualize the story Bates and Campbell tell through music and words. If the story here feels slight at times, it’s balanced by how unified everything else about this production is. But one voice is conspicuously absent: that of Jobs’ daughter, Lisa Brennan-Jobs. Brennan-Jobs has recently written a book, “Small Fry,” about her childhood experiences, which included Jobs’ denial of paternity. She also figures prominently in Aaron Sorkin’s 2015 film “Steve Jobs” as a powerful antidote to any tendency to mythologize or soften the edges of Jobs’ strong, sometimes cutting, personality. 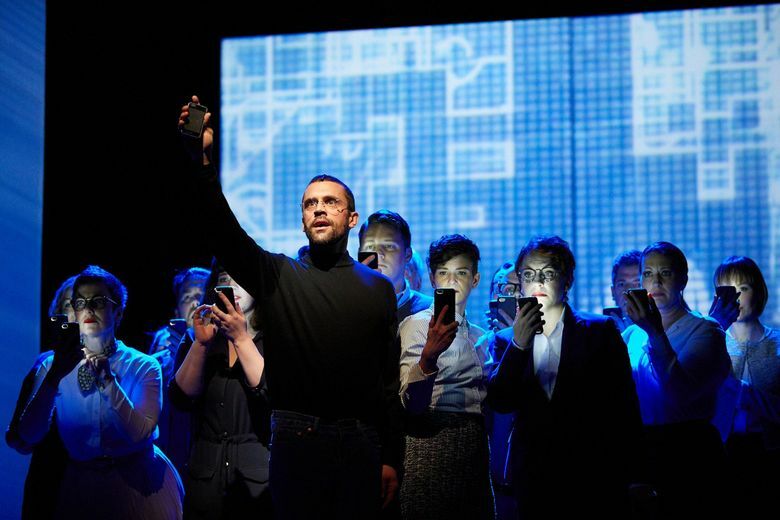 That level of nuance isn’t much present in “The (R)evolution of Steve Jobs,” and maybe that’s fine — on opening night, it was met with a warm, uproarious audience reception. Despite some high-profile critical reviews, this is an opera that resonates with viewers. And there is a lot to like here. The production design is stunning, the music is fun and novel, there are zero duds among the performances, and an imperfect opera that nonetheless delivers a solid narrative in 90 minutes with no intermission is no small gift. Maybe audiences like this opera because it’s designed more for them than for critics, and maybe there’s nothing wrong with that. You could even make the case that it has a democratizing effect, especially in an art form where the early-’80s introduction of supertitles — which increase operas’ accessibility — was met with resistance. But alas, I am a critic, and I cannot gloss over the fact that ultimately, there is a kind of pervading, overall flattening of Steve Jobs’ story in Campbell’s libretto. It’s hard to reckon with if you’ve done your research, and for an opera that hinges so heavily on the idea of “(R)evolution,” it’s a flaw not so easily dismissed. It also undercuts the overall seriousness and professed message of the story. Before the first curtain call was over, someone in the audience in front of me had already taken out an iPhone to take a picture.